Construction Accidents | Weingrad & Weingrad, P.C. Finding yourself on the losing end of a construction mishap is never fun, but with the help of a qualified New York City construction accident lawyer, it’s possible to get the compensation you deserve for medical bills, lost wages, and pain and suffering. 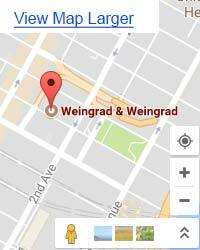 Weingrad & Weingrad P.C. has been fighting for accident victims since 1932 and has a reputation for aggressively pursuing fair settlements both in and out of court. 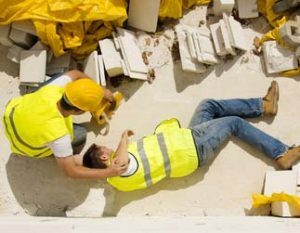 Injuries sustained on the job can be devastating, and the impact is even greater for those employed in the construction field, where one mistake can cause severe injury, or even death. That’s why we do everything we can to make sure you’re treated fairly and receive every bit of compensation you’re entitled to. If you’ve been hurt as a result of doing your job properly, you may be entitled to benefits that cover you above and beyond your worker’s compensation settlement. At Weingrad & Weingrad P.C. we fight to get you compensation for the medical bills that are piling up while you’re out of work, and a settlement that will provide for you and your family should you be unable to return to work in the future. The most important part of winning a case is always proving that your injuries are directly attributable to the duties you were assigned to perform at work, and that they are not because of any sort of negligence or failure to follow proper safety protocol on your part. We help you work with medical professionals who can examine you and verify what happened, giving you the evidence you need to hold your employer responsible. If you’re tired of being pushed around by the big guys and your financial future is in danger because of an accident that wasn’t your fault, it’s time to call a New York City construction accident lawyer with experience advocating for people just like you. At Weingrad & Weingrad P.C. we take our responsibility to you seriously, which is why you’ll never pay a penny unless we recover a settlement for you. We’ll meet with you either in our office or at your home, making it simple and easy to explore your legal options, even if you’re still recovering from your injuries. Call us today, and find out how an experienced attorney can make all the difference in the outcome of your case!